Three concurrent surgeries at the hospital push its staff to the limits. Determined to ease the pressure, Nic requests Jude for one of the operations, making Conrad jealous. 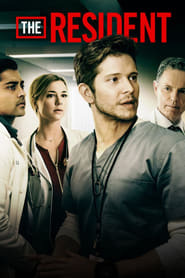 Meanwhile, Dr. Lane Hunter sets out to discredit Nic’s claims, Devon struggles with a patient who has an embarrassing problem and a charitable contributor comes to the hospital wanting to donate a lot of money to Dr. Lane’s oncology program.